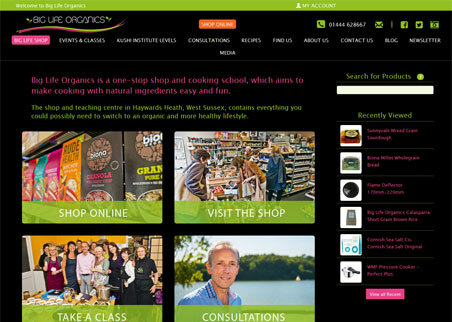 Big Life Organics is an online retailer of organic and natural foods. The client has two ecommerce web sites both using the same product inventory. Products and categories can be set to show on one or both sites using the fully-featured order processing backend. Further the backend handles all the stock levels as well as providing turnover and product sale reports, user permissions and page content CMS.